Last week I had a moment. It went like this. 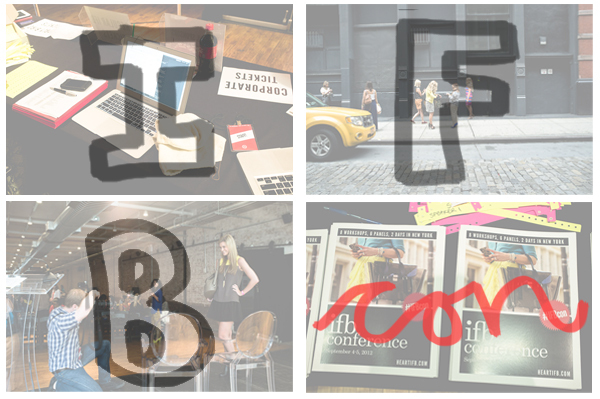 After some long days of fashion blogger conference panels, parties and meet-ups.... I was a slightly sleepy girl who had missed breakfast and whose eyes were as wide as the ocean when it was time for lunch. I'm a girl who likes my lunch. I took a seat off to the side of the stage and was insanely focused on my grilled chicken sandwich when out of the corner of my right eye appears a fuchsia colored beam of light. An angel you may ask? Nope. But close. 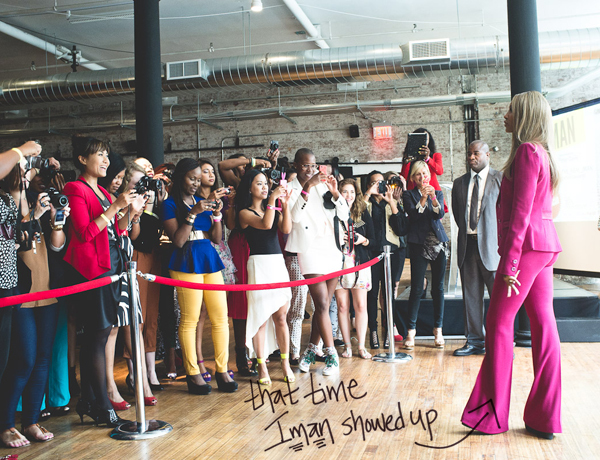 It was Iman. Towering over me in her statuesque way in all of her glory. Given my determination towards the grilled chicken sandwich, did I put it down as she approached? Nope. I held on to it strong. And as my eyes moved from her stunning Prada heels to her perfectly coifed hair, I did not loosen my grip on that grilled chicken sandwich. So as our eyes met, she said firmly straight to me..... 'Girl, you keep on eating!' I gave her the sweet 'oh my, why thank you' smile. But did I keep eating? Heck no. At this point there were cameras everywhere, flashes going off, girls swarming around her. I immediately imagined all the Instagram photos, the blog posts, the magazine pictures, the fashion writers that would look at their photo of Iman from that day and gush about her beauty and her magnetic allure.... and then they'd look in the background and say 'who's that girl devouring a grilled chicken sandwich?'. I was not going to let that be the immortal legacy I left with Iman. So I slyly packed up my sandwich and slid it under my chair, waited for the shutterbugs to come to a halt and went about the rest of my day..... still slightly hungry. Moral of the story here kids :: The loss of the grilled chicken sandwich was worth every minute of being in the presence of Iman. I redeemed my pride by making some wire rings with my girl Jenni of I Spy DIY out in the lobby. For the record, the one above is neither my hand nor my own DIY'd ring. But it was a lot prettier than mine.... both the ring and the painted nails!